Branded prank videos are still hanging around, as we saw earlier this week with Publicis' great Heineken stunt from Brazil. 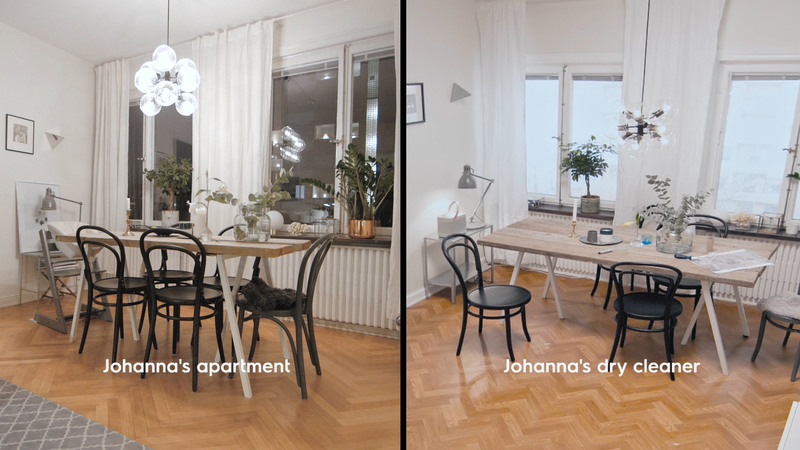 And here's a fun new one from Sweden, where Electrolux touted its UltraCare range of washing machines by turning the dry cleaning store that one Swedish woman uses into a replica of her own apartment. As prank videos go, it's short and sweet. And the concept is strong. "We created 'The Dry Cleaner Prank' to help Johanna's boyfriend surprise her in an unexpected way. Giving us the chance to prove that with the new UltraCare range you can wash even your most precious clothes at home," says a spokeswoman for Electrolux. "I didn't understand a thing," the prankee says. "At first I recognized the scent that we have at home, then I saw something that looked a lot like our TV-table but I didn't think it was our home. But when I stepped inside I saw that the whole room was an exact copy of our home. Even the view was the same!" The stunt was done by agency Volontaire.